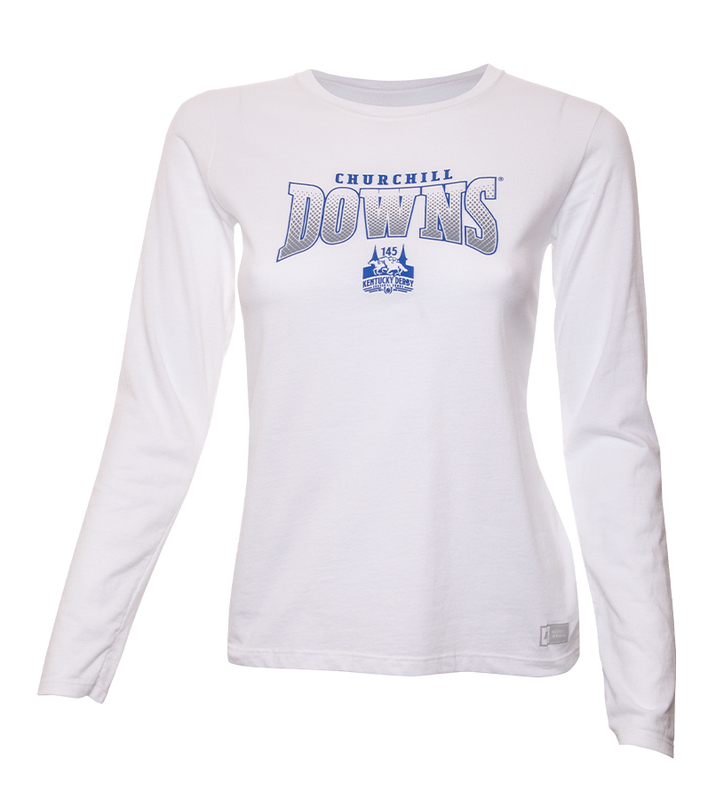 Printed with an athletic Churchill Downs style design and the official Kentucky Derby 145 logo. Long-sleeved. 60% cotton/40% polyester. Available in white in ladies sizes S-XL.